DowneyBurke – Secure online accounting with integrity. 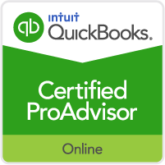 DowneyBurke specializes in outsourced remote bookkeeping and controller-level accounting services with QuickBooks Online and QuickBooks hosted cloud versions. We help streamline and facilitate accounting functions, so that business owners are able to focus on their core business, not debits and credits. We utilize powerful integrated add on programs to enhance business financial data which is paperless, transparent and accessible anytime/anywhere.